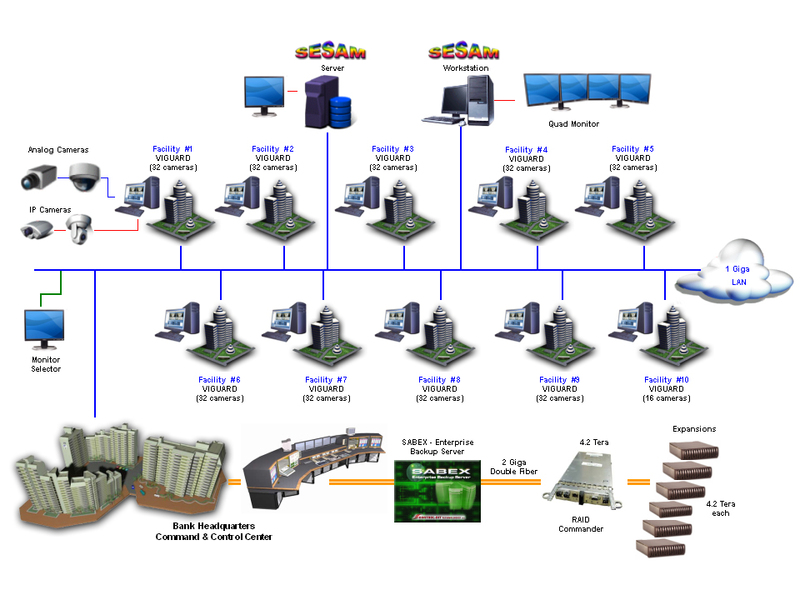 SABEX is a great enterprise video software solution for Digital Video and Audio storage and backup systems over networks. Storage size available by SABEX is up to 28 Terabytes, allowed by using a mass storage devices such as RAID. Archived data is managed and its validity is verified by mass storage device mechanism. Digital recording systems such as ViGuard, Darix, and Sesam Server archives are transferred over the network to the mass storage device, and saved also as a backup. Archive can be retrieved by user request. A Large number of recorders can be connected to a single SABEX unit which manages reading and writing archives.